A 42 years old woman desperate to secure the record for having world’s biggest hips has been warned she is a “ticking time bomb” and could die at any moment and yet she simply doesn’t give a hoot about the numerous warnings. Indeed, married Bobbi-Jo Westley wants to ‘to be remembered’ for that feat. 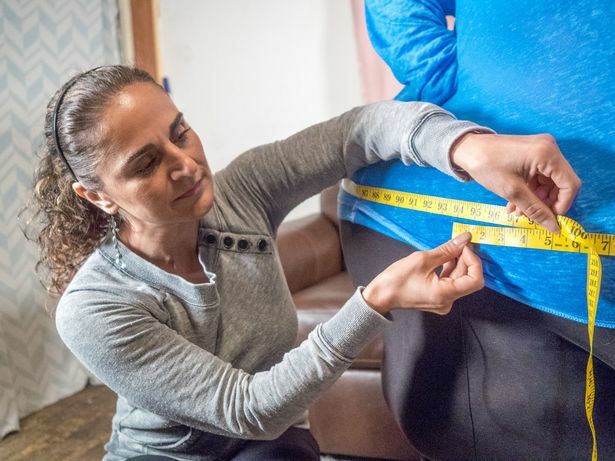 She is now four inches off drawing level with the current record holder Mikel Ruffinelli – who has hips measuring 99 inches apart. But despite being told by nutritionist to shed weight and ditch her attempt to have the world’s biggest hips the 42-year-old insists she “wants to be remembered for something”. SHE SAID: “I UNDERSTAND THAT I’M PUTTING MYSELF AT RISK BY TRYING TO GET THE WORLD’S BIGGEST HIPS. “I AM WORRIED ABOUT MY HEALTH SOMETIMES BECAUSE OF MY SIZE – I KNOW THAT IT IS NOT HEALTHY. “MY DOCTOR ASKED ME IF I HAD EVER CONSIDERED GASTRIC BYPASS AND I DO HAVE A FEAR OF DYING. Her supersized hips have already earned her a supersized following, with legions of fans from around the globe buying and trading her pictures online. She even arranges ‘crushing’ sessions for her biggest fans, who pay to have Bobbi-Jo sit on them and squash them. WHEN I REALISED THAT THERE WHERE MEN OUT THERE WHO LIKE MY SHAPE, I WAS KIND OF SURPRISED. But while her curvaceous figure has become her livelihood, the 42-year-old’s weight has had a punishing effect on her body, leaving her housebound under her doctor’s orders. Her immense size also stops her from doing a number of basic everyday activities – and she gets out of breath just walking across the room. She said: “The last time I went to a doctor I weighed 542lbs"